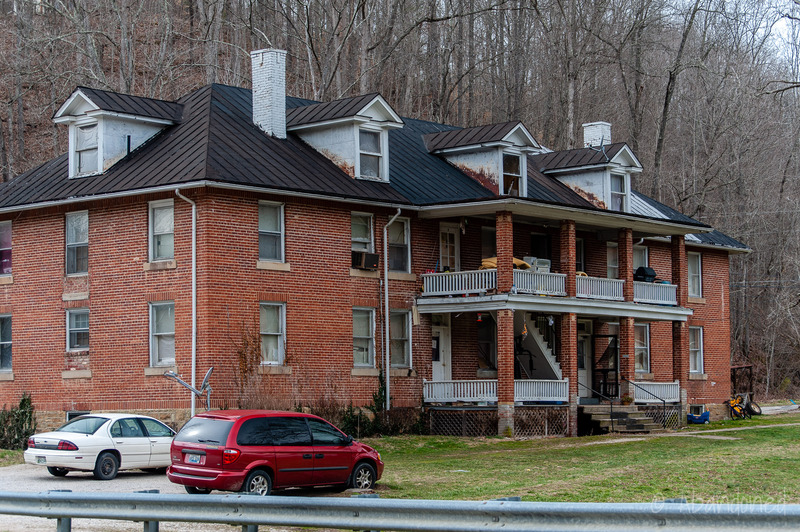 The Frenchburg Presbyterian College is a former school and hospital operated by the United Presbyterian Church in Frenchburg, Kentucky. 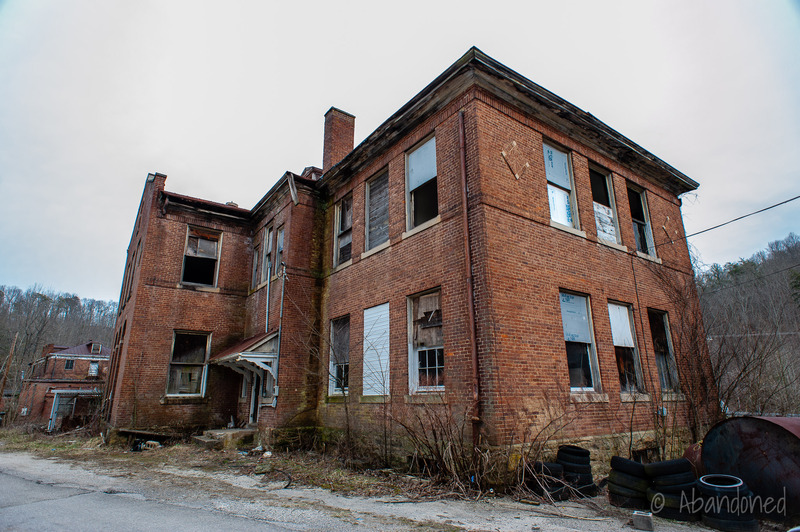 It was the only hospital between Lexington and Ashland for a period of time. The first school in Frenchburg consisted of a one-room log school that soon became overflowing with children, some seated two or three to a desk. There were a half dozen books per 50 children, inadequate sanitation, and substandard teaching materials. 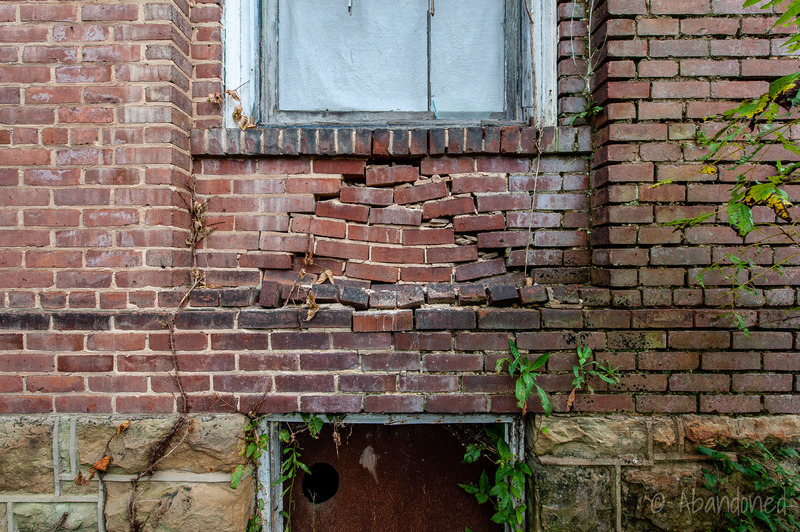 1 Subsequent schools that were later developed were not in better condition. After consideration, the church opted to locate a school and church in the town on a five-acre plot. 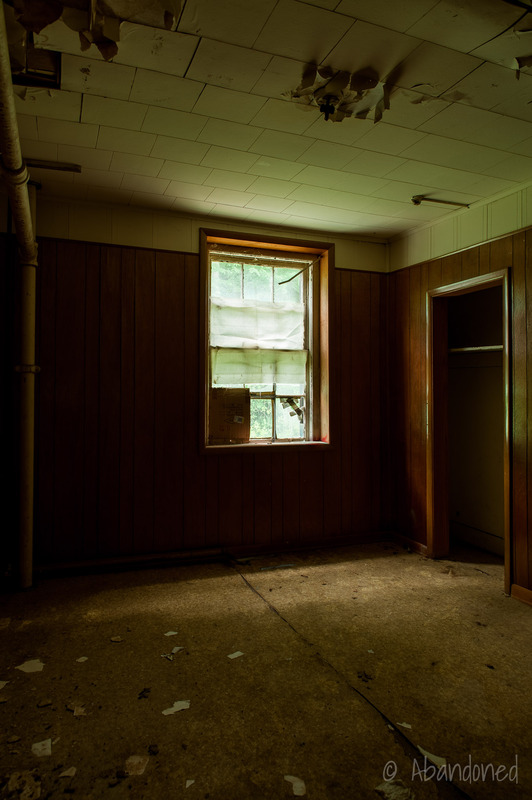 5 Local citizens donated money and labor in developing the facility, and the West Lexington Presbytery of the Presbyterian Church deeded to the Women’s Board a small frame church house which had been abandoned several years prior. On September 19, 1910, a two-story brick building was completed to serve as the primary school building for grades one through eight and as a residence for eight teachers financed through the Women’s Missionary Thank Offering. It was formally dedicated on October 29 with Miss Houston as superintendent. Enrollment in the first year was 167, which increased to 180 and 189 in the subsequent two years. In 1914, the first class was ready to graduate. 5 6 A committee of five Frenchburg businesses and professional men made elaborate plans for the first commencement. A tent was pitched on the campus for the festivities, and there were picnics and other activities throughout the day. 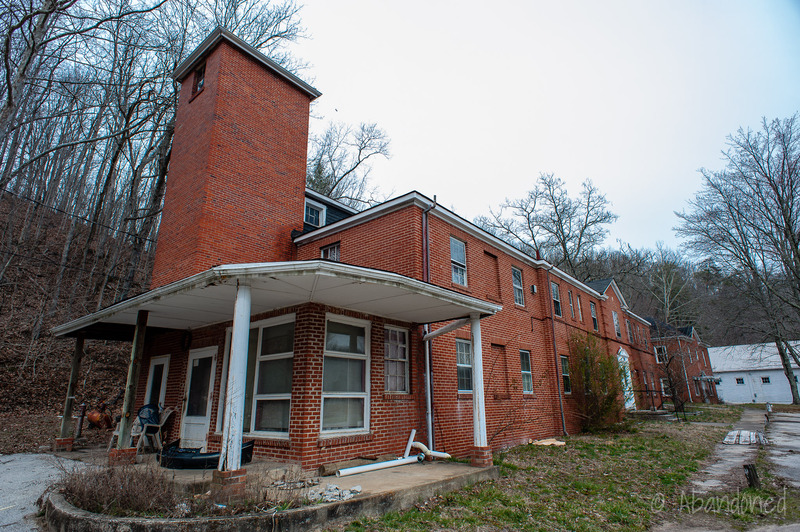 Between 1914 and 1917, students and teachers lived in the school building and in a small white cottage at the eastern end of campus, with living quarters becoming increasingly crowded as enrollment surged. 5 To accommodate additional students, a three-story brick dormitory for 70 was constructed and named after Elizabeth Brown. Male students relocated from the basement of the school building to the third floor of the new dormitory, while females were assigned to the second floor. 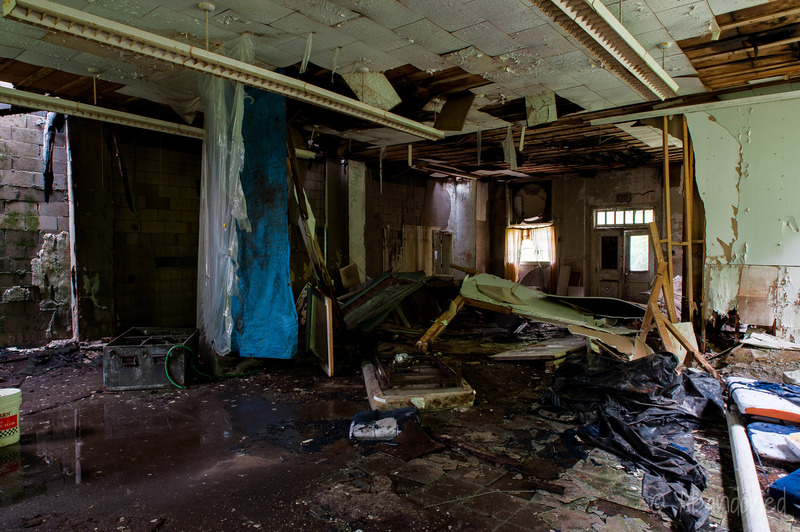 The first floor was reserved for recreation, dining, and administrative offices. Space formerly occupied by students and teachers were remodeled to provide a library and home economics classrooms. During this time, a Mountain Industries project was initiated to help the people sell their handicrafts in order to obtain money to send their children to the Presbyterian school. 5 Homespun, home-dyed and home-woven quilts with patterns such as the Star of the East, Rose in the Garden, Double Wedding Ring, Isle of Patmos and their rugs, chairs, and baskets were sold throughout the denomination. Church friends sent boxes and barrels of clothing for these people. 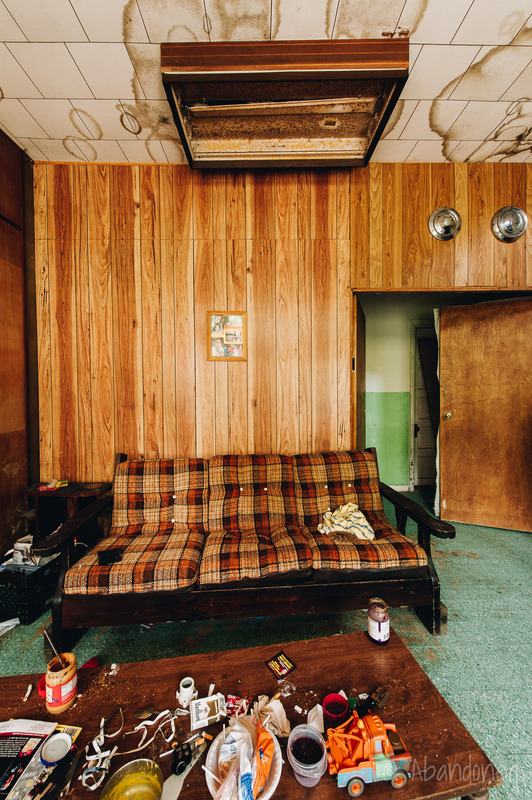 The old school district building in Frenchburg became a storeroom where the clothing was offered for a nominal price. The need for a dedicated residence for teachers was apparent by the late 1910’s. 5 Funds from the New World Movement of the United Presbyterian Church became available and during the summer of 1921, the Teacher’s Home was constructed. 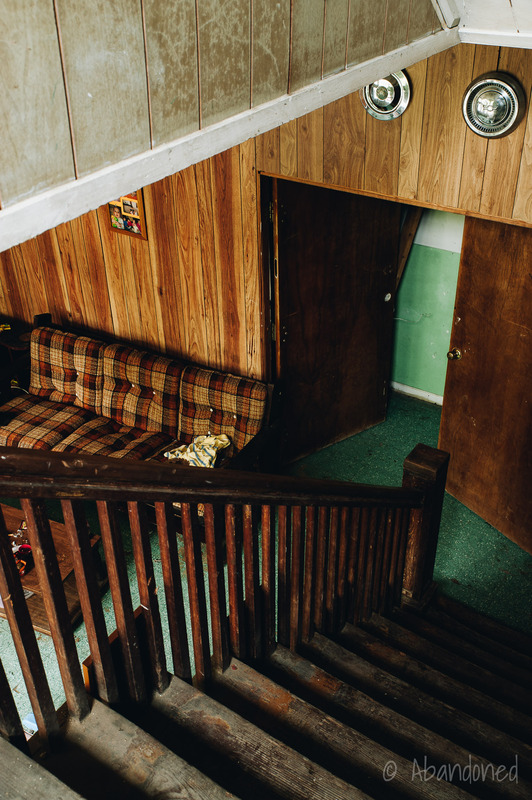 The first floor had two apartments of five rooms each for the superintendent and principal. 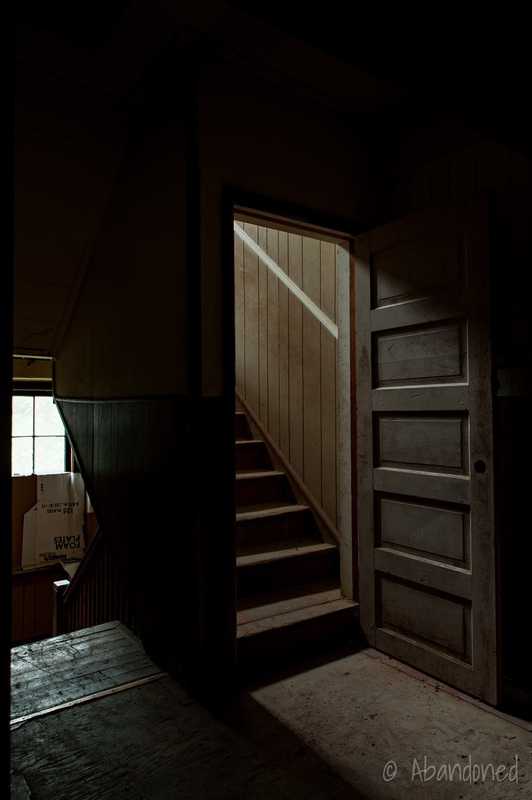 The second floor had nine rooms for the women teachers plus a guest room, living room and small kitchen. During the Great Depression, the school continued to grow, adding extracurricular activities and a school lunch program. 5 The growth temporarily reversed during World War II, when many students and teachers served the nation in various capacities. 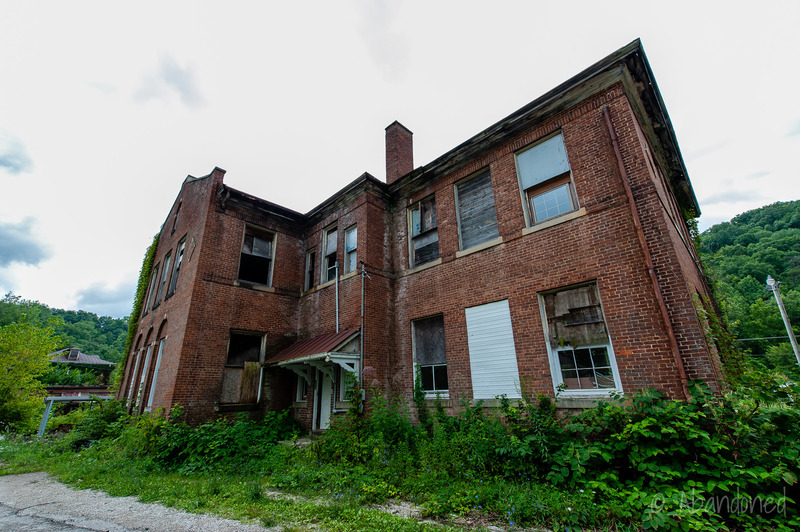 The school farm was sold in 1941 because there were few students in the dormitory to carry on farm and dairy chores. 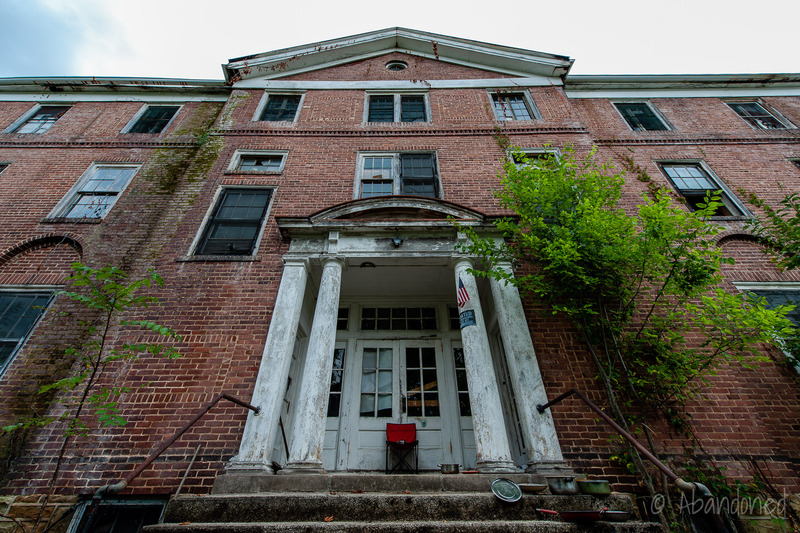 5 After World War II concluded, enrollment spiked at the school. A temporary structure was hastily constructed for sixth, seventh, and eighth grades so that high school students could occupy the entire school building. In January 1949, a permanent structure for grades one through eight was opened. 1910: Principal (superintendent) was Rev. Brainerd Jamison. 1911: Rev. Jamison resigned to complete his preparation for service in the foreign field. Dr. Albert G. Weidler was appointed. 1918-1923: Rev. W. J. Griffen was superintendent and increased faculty and hired principal to assist the work load of the school. After his resignation, Rev. H. Ray Shear was superintendent. 1941: Mr. Harry L. Cowden became superintendent until 1946. Mr. Stevens served briefly and then Mr. Roy Anderson was appointed in September 1947. Rev. Arthur Gathman was appointed in Jan. 1948. Resigned in 1956. Mr. Adrian Wells was appointed and served until closure. In 1967, discussions were held to close to the Jane Cook Hospital due to escalating costs and the inability to secure a government loan for a nursing home that would have qualified for Medicare. 6 The Jane Cook Hospital closed on December 31. 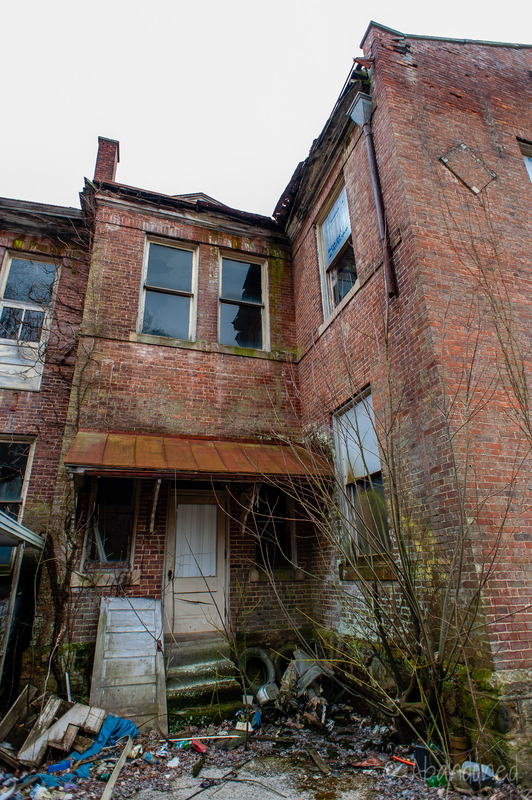 The building was then leased by the Commonwealth of Kentucky and reused for five years as a Boy’s Rehabilitation Center by the Kentucky Department of Child Welfare. Jane Cook Hospital: Built in 1941, the structure replaced the original 1915 building that had been destroyed by a fire in 1940. 6 The building consisted of two sections with Neo-Georgian characteristics. A view of the School Building. A view of the cafeteria. An exterior view of the Girl’s Dormitory. “Education.” Menefee County Centennial Pictorial Review, 1869-1969. Frenchburg: n.p., 1969. 6. Ingram, Barbara Wells. 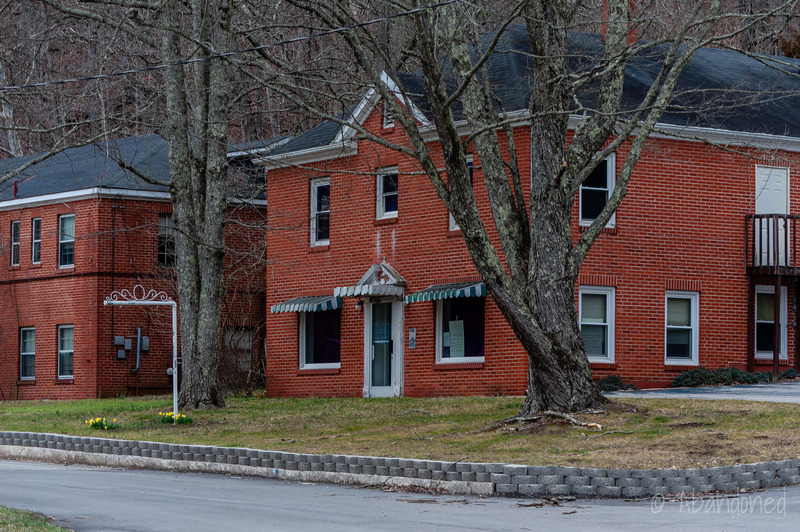 The History of Menifee County Kentucky. 1986: 18. Menefee County Centennial. Pictorial Review. Frenchburg, Kentucky: 5. Menefee County Centennial. Pictorial Review. Frenchburg, Kentucky: 13. 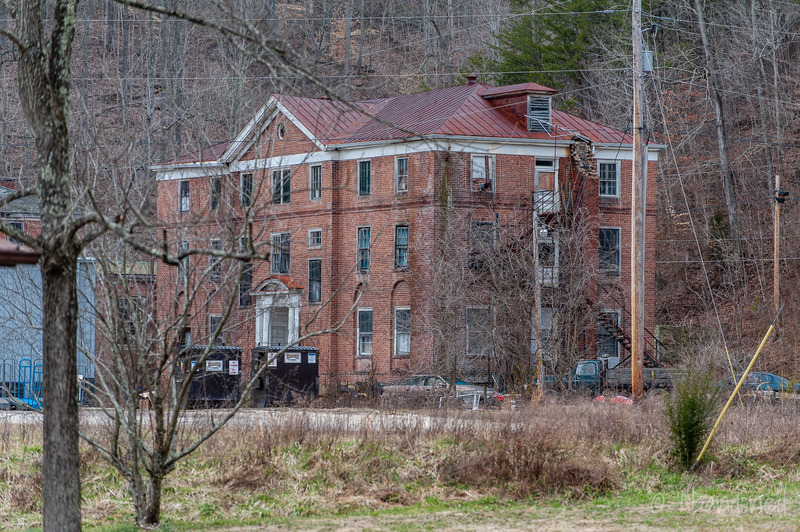 “Frenchburg School… nestled in the hills and mountaos of our beautiful Kentucky.” Menifee County Journal (Frenchburg) 10 Apr. 1974, Bicentennial Edition ed. : 13. United States. Dept. 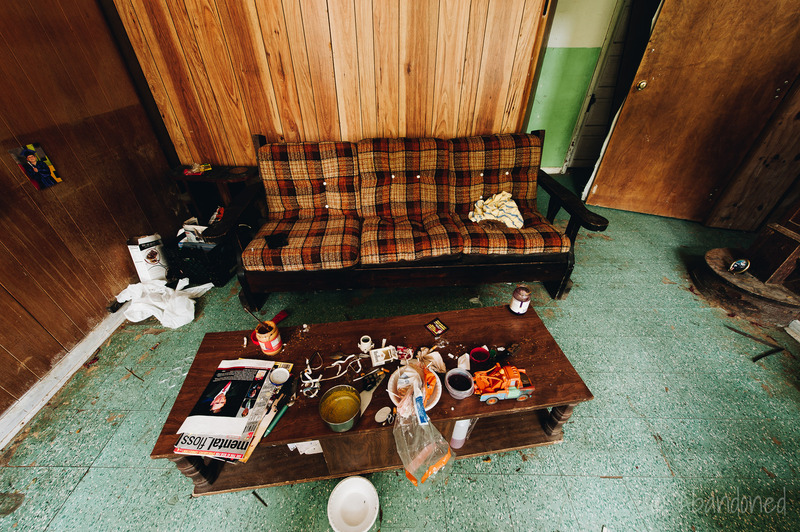 of the Interior. Frenchburg School Campus. Comp. Calvin P. Jones, Sr. Washington: National Park Service, Sept. 1978. Web. 26 Aug. 2013. Article. “Frenchburg School.” Menifee County Journal [Frenchburg] n.d.: n.p. Print. McAllister, J. Gray. Edward O. Guerrant; Apostle to the Southern Highlanders. Richmond: Richmond Press, 1950. Print. Green, Howard. 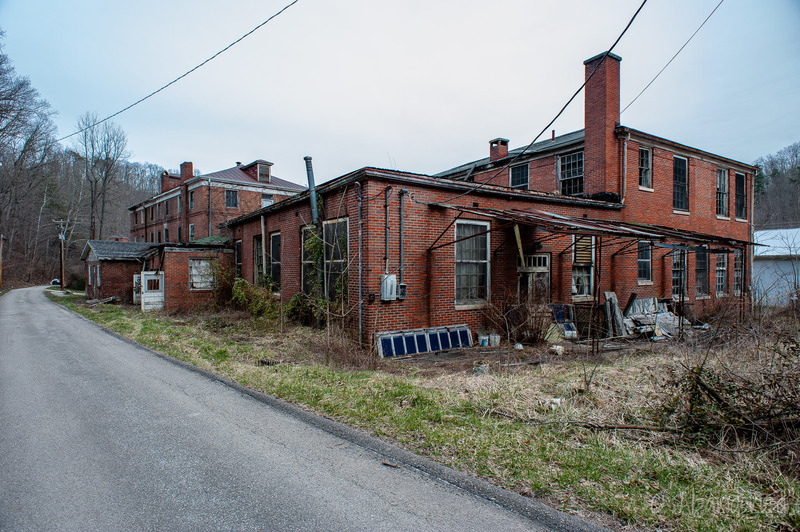 “Effort Afoot to Reopen Menifee Hospital Facility.” Herald-Leader [Lexington] 17 Mar. 1968: 31. Print. I’m very interested in this.Is it for sale? I was born there in 1963. Dr. Graves was the doc who delivered me. I found his bill among mom and dad’s records. He charged $40. Wow! This is great stuff! Thanks for sharing! My Father, Amon Peyton, went to high school there. I went to the first 8 grades there. I was in the last 8th grade class to graduate from there in 1957. We attended the Presbyterian Church. My Brother, Larry Amon Peyton, and I were both born in the hospital there. My thanks to the Presbyterian Church for providing this school, a hospital, a church and an excellent education for me and many people in the Frenchburg area. I was born there in 1964 as well as was two of my brothers in previous years. In addition, my husbands grandmother, Ruby Swarrz Becraft attended the Teachers college. She spoke highly of her time spent there. She was in the work study program. She had to run from work to classes to be on time. Just as a side note she later taught my daddy in the one room school house on Stonequarry Road. My mom worked in the hospital not long before it closed. Also my son and his wife lived in the apartments years ago. A shame that the buildings have not been renovated to recognize their history. my youngest sister Stella Mae Howard Beverly was born in the hospital January 29, 1964 Dr Graves delivered her ! What a shame . Was once a beautiful campus . I own the hospital building as it was left to me by my father. 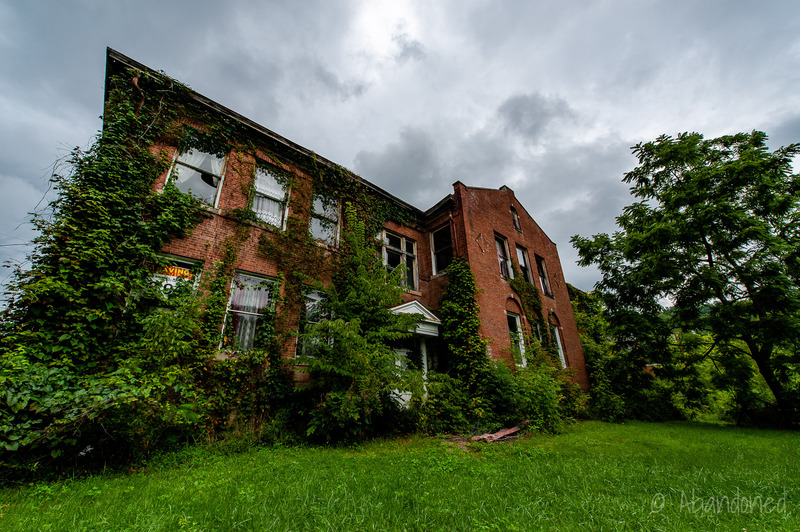 I can not afford to maintain it but would like to sell the building as is for I know that it will take a lot of money to bring it to the status that it should be to be made presentable. Dad put a lot of money into the building but as he aged was just not able to keep it maintained. 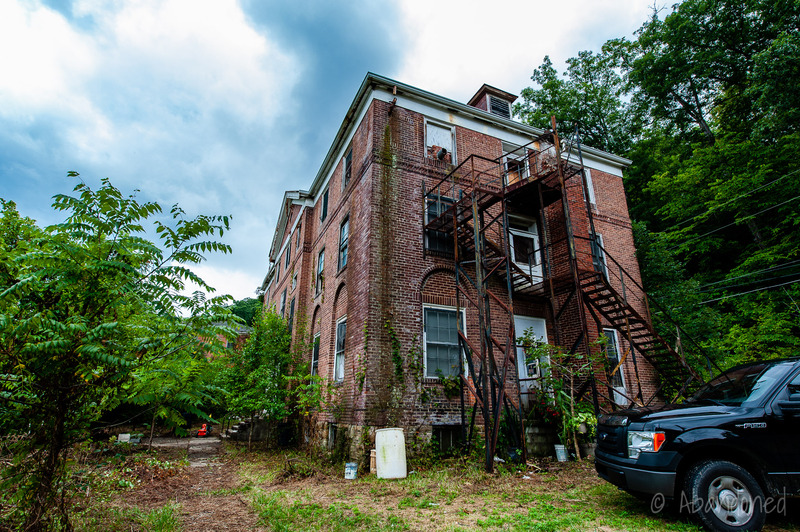 This is such an amazing historical article and I believe these buildings should be restored and uses to better serve the community once more. For instance the gym could serve as a community center for the youth also could do some volcational training for better employment opportunities for the community. Dr. Edward Owings Guerrant is my great great great grandfather. He started many schools and orphanages in Eastern Kentucky before is death in 1916. My father said he was not aware of this school in Frenchburg till I showed him this post. Went to school here for 4 years. So sad that no one in Frenchburg wanted to restore these buildings. LAST ANYONE KNEW ABOUT THE REC ORDS WAS THEY WERE MOVED TO THE COURT HOUSE MANY YEARS AGO BUT I DONT KNOW IF THEY ARE STILL THERE. Adrian Wells was my great uncle he was the last superintendent at the school. My mother and another great uncle attended school there. My great uncle Dilmond Lawson was either valedictorian or salutatorian of his class with Buddy Rhodes being the other. Lots of history and its a shame to see it deteriorating. My mother, father, uncles and aunts attended there. It was such a gift to a rural area- absent of public high schools. The stories I have heard are magical My mother, Dorothy Wright Kash, also taught there and my uncle Shelby Kash was superintendent in the 40’s ( not listed previously.) Many went on to college and pursued lives they wouldn’t have had otherwise. It elevated people. It’s heartbreaking to see the dilapidated buildings. 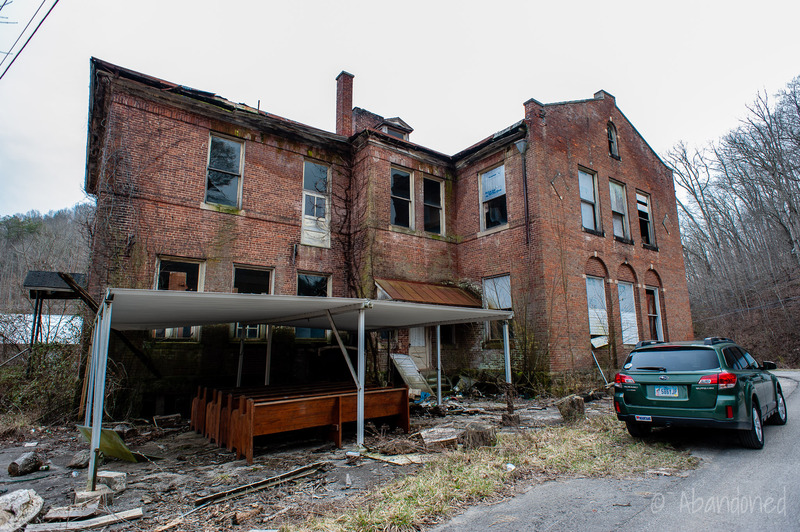 I wonder if the KY historical association would have any way to assist in refurbishing them? Does anyone know where the birth records are from the hospital? My father George Anderson was the administrator when it was used as a nursing home facility. My mother Charmian Anderson was a nurse at the hospital. There are nine children in my family and many memories living in one of the buildings I believe labeled as the girls dorm. we had an apartment upstairs and the offices below. Very little mention of its use as a nursing home facility. What a history this old campus has! I grew up mainly on Dan Ridge , but lived periodically in Frenchburg . All 3 of my sisters graduated from the school there . ran the telephone office in the early 50 ‘s . My daughter and I actually investigated it some today while we were out taking pictures. Very ironic to see someone had shared this post this evening. So very sad to see it just setting there ran down. It does seem tho that certain areas are being used as apartments; very rough living conditions tho. My brother was born at the hospital fifty years ago and weare from Bath County.l still go Frenchburg alot and have wondered what they will do with the buildings. I feel I owe a lot to the Presbyterians for their mission to improve this area. They helped my mom go to school in Ezel and on to Berea College where she met my Dad, and I went to school there until it closed, with teachers from all over the country. I lived in the girls dormitory for two years when I was in middle school. I love knowing the history behind them. I wish someone from the historical society would restore them to there former glory. Instead of building new buildings. It’s sad to see the past slipping away. 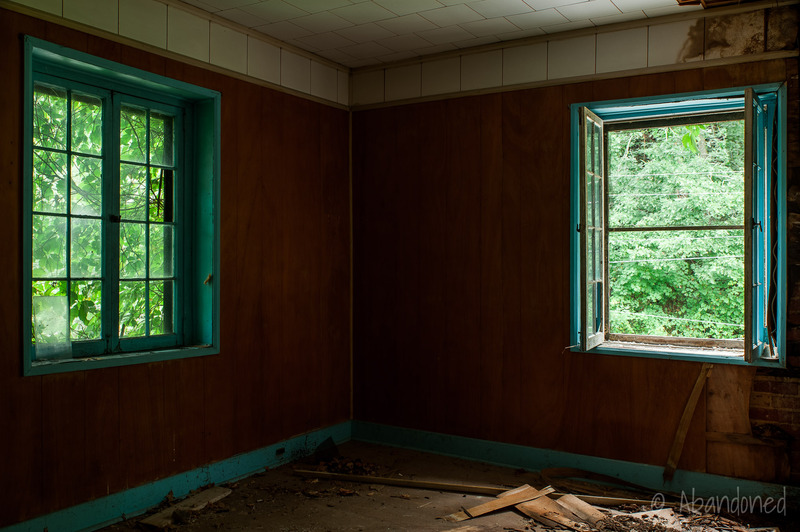 Some people have told me that these places are haunted. 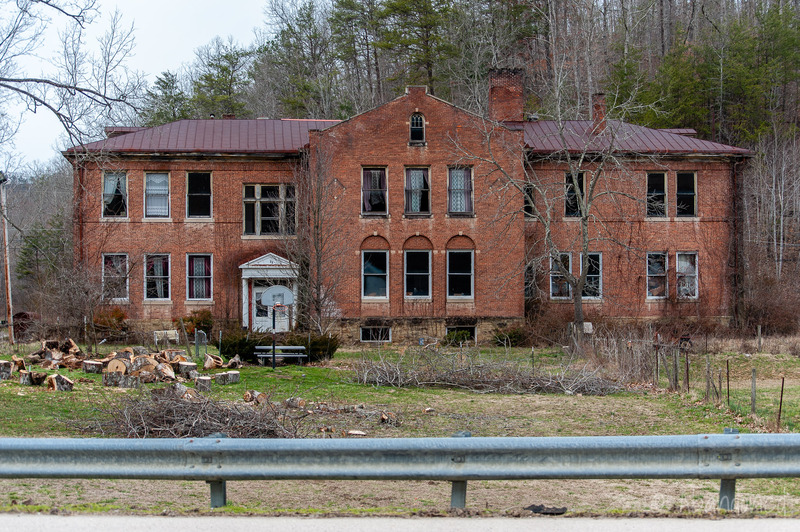 i live in menifee county ky and see these buildings all the time, my dad and uncle went school there for quite sometime. My grandfather Nathan Ellington Greear was one of those early HS students who benefitted from the special class they started in 1911. He taught math at Frenchburg and qualified for a year of paid post secondary tuition. I believe he graduated in 1914 at age 15, as he started Berea College in 1914 at age 16. 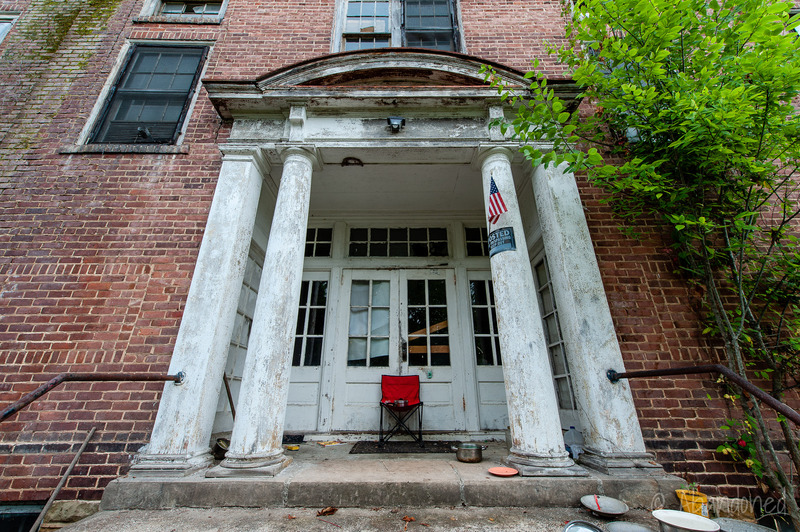 I just purchased the contents of an estate in upstate NY, including two splint baskets, that I believe came from this school, and an advertising flier for the baskets and stools that the school made and sold. I believe they are from the 1920. The estate was from the family of H. Ray Shear, who I see was the Superintendent in the 1920s. I would be happy to send photos to the above mentioned Heritage Council. My great aunt Margaret Peebles taught at this school in the early 1900s. I have an envelope of pictures that she had of the school and the surrounding community. Is there a historical society in the area that would like to have these pictures? If so, I just need a name and address to send them to. Thanks. 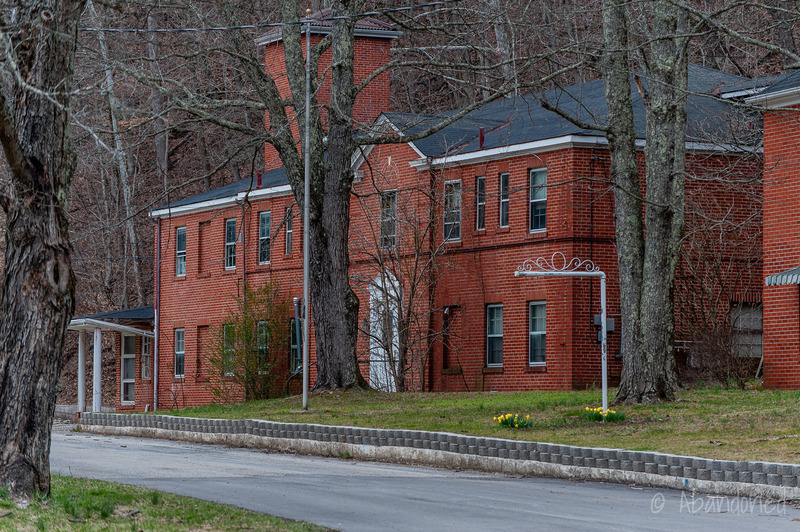 I don’t know if Menifee County has a historical society, but I do know that the Kentucky Heritage Council (the State Historic Preservation Office) would love to have copies of any historic photographs of the school. Their address is 300 Washington Street, Frankfort, KY 40601. Thank you. I will contact the Heritage Council in Frankfort. MY DAD SAM JONES BOUGHT THE HOSPITAL BUILDING IN 1982. SOME WORKERS AND DAD WENT THROUGH THE ENTIRE BUILDING AND MADE IT INTO AN APARTMENT BUILDING. IT WAS RESTORED TOP TO BOTTOM. AS MY DAD GREW OLDER HE LOST INTEREST IN IT AND WAS UNABLE TO MAINTAIN IT. IT IS CURRENTLY BEING RENTED OUT AND A YOUNG FAMILY BOUGHT IT A FEW MONTHS AGO IN 2016. THEY ARE ONCE AGAIN RESTORING IT AND MAKING IT NICE AGAIN. 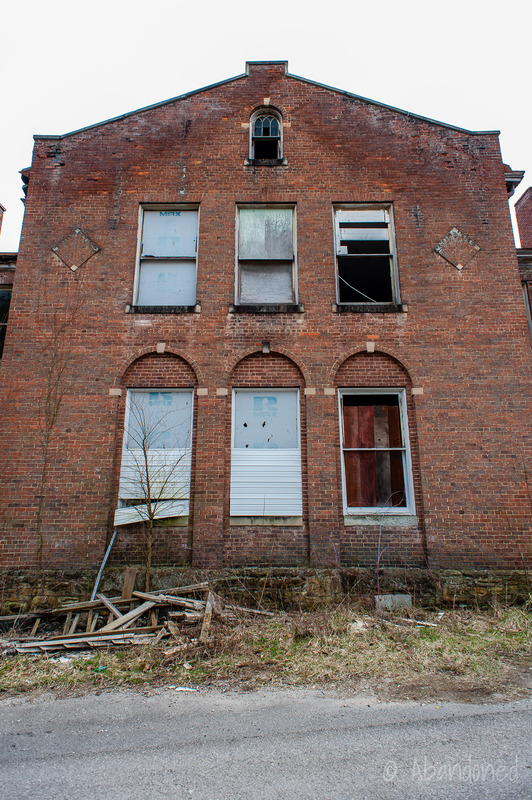 I CONTACTED THE HISTORICAL SOCIETY A FEW TIMES TRYIN AND BEGGIN THEM TO COME AND RESTORE ALL OF THESE AMAZING BUILDINGS. THEY SENT SOME PEOPLE UP TO LOOK AND TAKE PICS A FEW YEARS AGO. THAT WAS THE LAST I SAW OF THEM AND WAS NOTIFIED THAT THEY HAD NO FUNDS TO RESTORE THEM. SAD BUT TRUE. IT IS ALREADY LISTED WITH THE HISTORICAL SOCIETY. WE PLED WITH THEM TO REPAIR IT BUT DID NO GOOD CAUSE THEY SAID THEY DID NOT HAVE THE FUNDS TO. My husband and I attended the sister school at Ezel Ky. The same Presbyterian churches started the school at Ezel but we only had the main school building and a gymnasium. There was also a large house that we called the Teachers Home. Later on we had more buildings and class rooms. They are ALL gone now they were just out of wood, no brick. We drive by the Frenchburg grounds often and it always makes me feel so sad, those were beautiful buildings and they alowed them to just go into decay, We graduated in l952 an d 1954, the buildings have all burned down and it is sad also, I have taken my mother several times to see Dr. Graves, he was a very caring dr. I was born in the Jane Cook Hospital 1/21/1950. My Mom went to school there (Jean Profit-Benson). 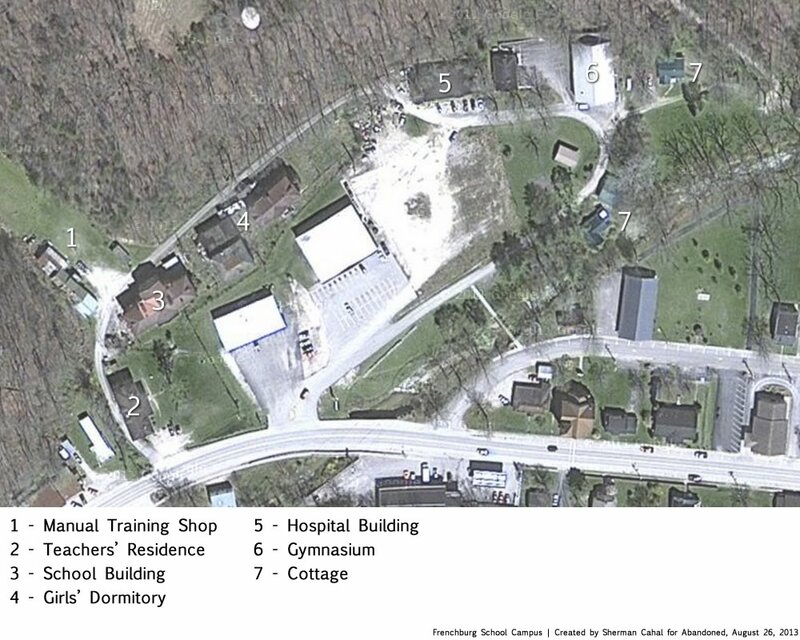 Used to visit Frenchburg a lot in my youth and remember what the School and Hospital looked like then. I have some class pictures of the students who went to school with Mom. Showed this to my 87 yr old Mom and was so great. Brought back a lot of memories for her. on Beaver Creek. He saw and met Minnie Pearl there, highlight of his day!! I was born in Mt. Sterling, but lived on Papaw’s farm till I was the ripe old age of 2 and we moved to Middletown Ohio. Great memories !!! wished this building could have been saved. for 11 years. Got a great eduction and was so sad too see this happening to this beautiful campus. Some of the greatest memories for me happened on this campus and for many others who attended Frenchburg High School. My dad is Dr. Graves who was the last doctor to serve there. 3 of my 4 siblings were born there. I was supposed to be born there but was not due to complications. Lots of wonderful memories of the campus and the people. My aunt, Ida I. (Irene) Kester, from Iowa, was a teacher at the school in 1940. (See the 1940 US Census for Frenchburg, Menifee, KY) The Mission School is an interesting story, thank you for the website. I was born in the hospital in 1957 with Dr. Graves delivering me. My mother worked in the school in the kitchen the early 1960’s. I remember the fair on the grounds with Happy Chandler visiting someime in the early 60’s. I was born in this hospital in 1967 shortly before it closed. My grandmother was a nurses aide there and helped deliver me. We used to attend the fair there on the grounds when I was young. Fond memories. I grew up 20 miles from Frenchburg, and always wondered who Jane Cook was. Nobody seemed to know. I new she must be pretty important to have a hospital named for her. I stumbled on this web site and found lots of interesting stuff. Thanks, and keep up the good work. I have a patient that I get to see in her home..she was reminiscing about school here.. She said that she was in charge of making the pies on saturday..many people would try to bribe her as to what type of pie to make that week!! I as well would love to know if there are any pictures, i would love to share them with this lovely lady! Rev Gathman was my uncle and I spent several summers there when I was young. Where could I obtain pictures and the location where the school was?